Using a pan, grill cayenne peppers, garlic, and shallots until fragrant. Transfer to a plate and let cool. Peel cayenne peppers, garlic, and shallots’ skin, then grind with mortar and pestle until the paste is formed. Add fish sauce and lime juice into the paste and grind again until all ingredients are well mixed. 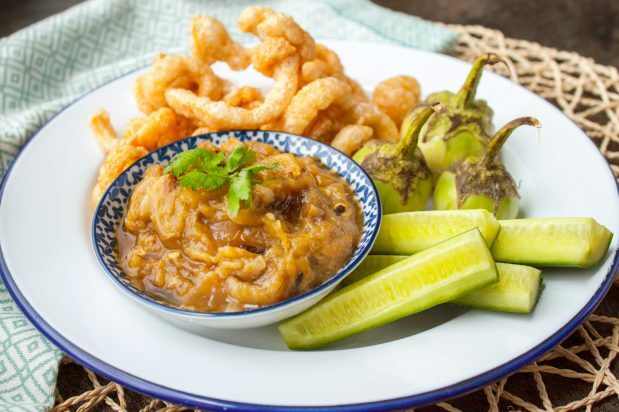 Transfer the paste into a sauce bowl and serve with vegetables and pork cracklings.